Padmabhushan Dr. Ramdas M. Pai has succeeded late Sri K. K. Pai as the Registrar of Academy of General Education, Manipal. He is also the President of SMC Trust. 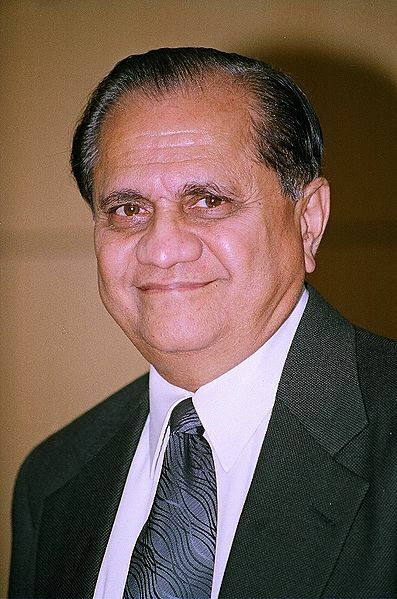 Dr. Ramdas M. Pai , son of late Dr. Madhava Pai, has been an international figure. He is a medical graduate of Karnataka University and a post graduate in Hospital Administration from Temple University, Philadelphia, U.S.A. He bagan his illustrious career as Hospital Administrator of Kasturba Hospital, Manipal. For a long time he served as the Medical Director of Kasturba Hospital. At present he is the Chancellor of Manipal University. He is presiding over the destiny of Manipal Group which is the nucleus of 53 educational institutions which have an enrollment of 32000 students in India. Dr. Ramdas Pai has been a strong advocate of Public - Private Partnership in higher education and health care. He is largely instrumental in creating education and healthcare institutions not only in different parts of India but even abroad . He has been the Pro-chancellor of the Sikkim - Manipal University of Health, Medical and Technological Sciences, Gangtok, Sikkim. Dr. Ramdas Pai has held important and coveted responsibilities and posts which include the following. Executive Committee Member of the Medical Council of India. Member of the Dental Council of India. Member of U.P. State Development Council. Member of the Education Council set up by the Confederation of Indian Industry. Panel Member of the British Council sponsored UK - India Education and research Initiative 2008. In addition Dr. Pai has been associated with innumerable and diverse organisations, associations and institutions in different capacities. Dr. Pai has been a recipient of a number of awards and honors in appreciation and recognition of his services. The prestigious awards conferred on him include the following. Conferred the Padmabhushan award by Government of India. Dr. B. C. Roy National Award for Community Health Work. Honorary Fellowship of the faculty of General Dental practitioner of the Royal College of Surgeons of England. Ernst and Young Entrepreneur Award of the year 2004. Government of Karnataka Suvarna Karnataka year Award 2006. Award by World Konkani Convention in 1995. Dr. T. M. A. Pai.